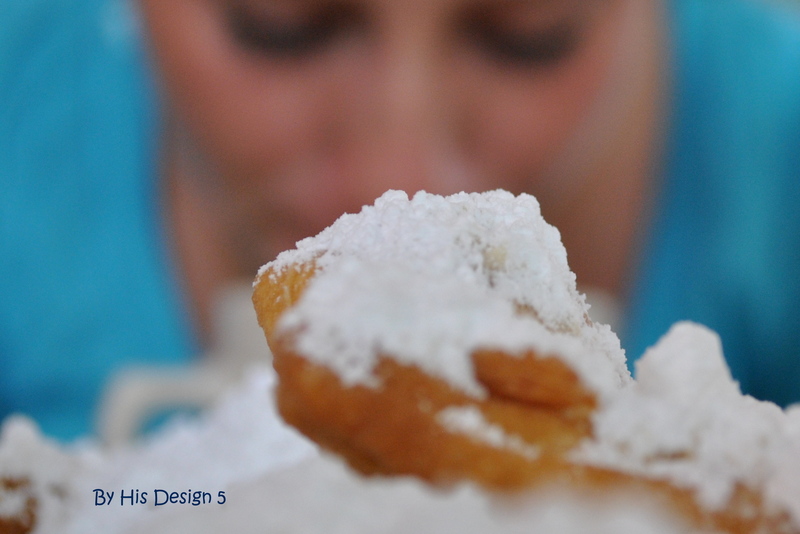 We had a beignet book club and discussed the book that we are reading – Little Women by Louis May Alcott. We enjoyed some art. There is always art to be enjoyed in NOLA. In one of the art galleries, we found out why the city water meter covers are so popular. There are paintings, carvings, jewelry, etc with the water meter cover on it. According to the artist, a company made special water meter covers with the crescent moon and stars. The city had problems keeping tourist from taking them as souvenirs. 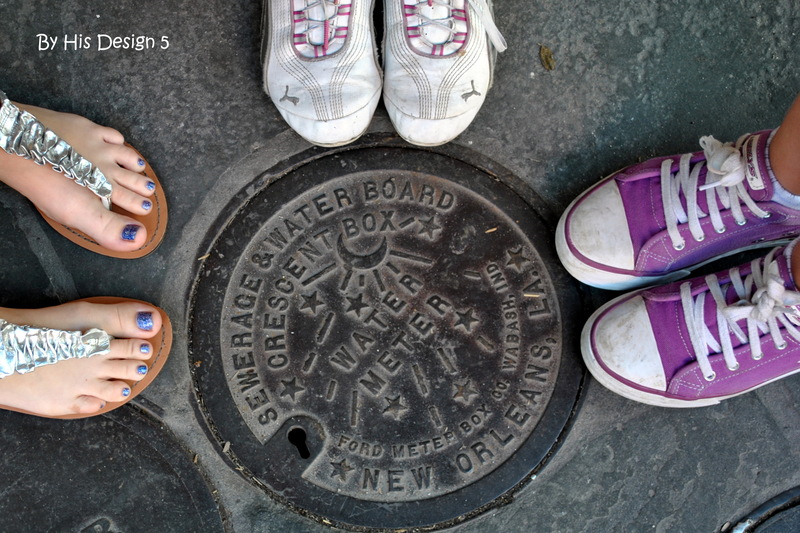 After all, what says I’ve been to New Orleans better than a water meter cover. So….as a theft deterrent, they commissioned artists to make different types of art that depicted the covers. There are only 4 still in the French Quarter. They are still found in other parts of the city where tourists don’t go 🙂 We found two of the four in the Quarter. Santus, Santus, Santus. Dominus, Deus, Sabaoth. Saw a replica of the Bible that belonged to St Louis. The original is in the cathedral in Toledo, Spain. We visited the Urseline Convent which is the oldest building in New Orleans. Designed by the French in 1725. Building was completed in 1735. The Urseline Nuns actually ran a leper infirmary/colony until 1999 in Southern Louisiana. 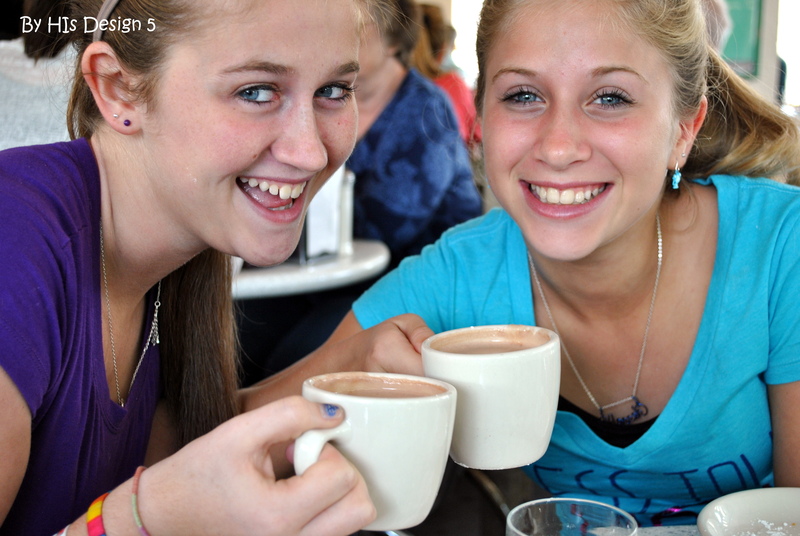 This entry was posted in Field Trip, NOLA, This and that and tagged beignets, Cafe Du Monde, homeschool field trip, New Orleans. Bookmark the permalink.